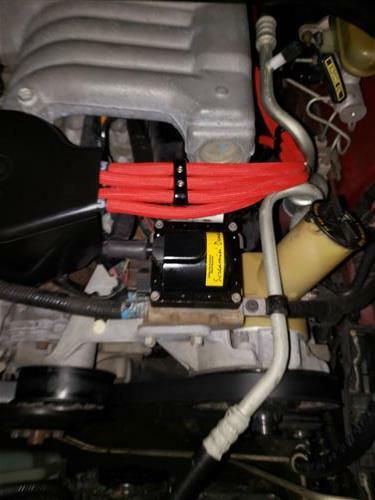 Enhance the performance of your Mustang 5.0/5.8L by replacing the stock coil with our high voltage Screamin’ Demon Coil designed to produce an nice spark! The Screamin' Demon Coils are designed to produce an exceptional spark throughout the entire RPM range with virtually no drop in power. 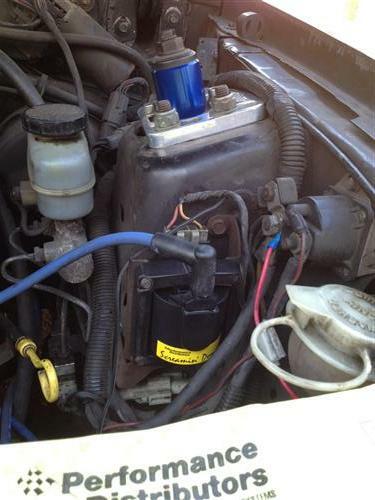 Stock coils are notorious for falling off as RPM goes up. 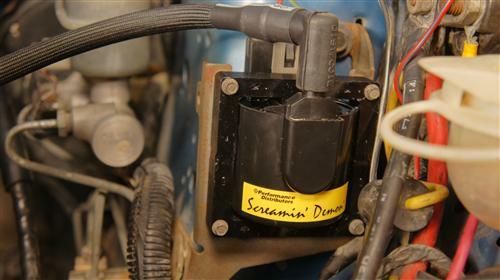 Our Screamin' Demon Coil has been dyno tested providing 3 more horsepower at 5000 rpm over stock coils. 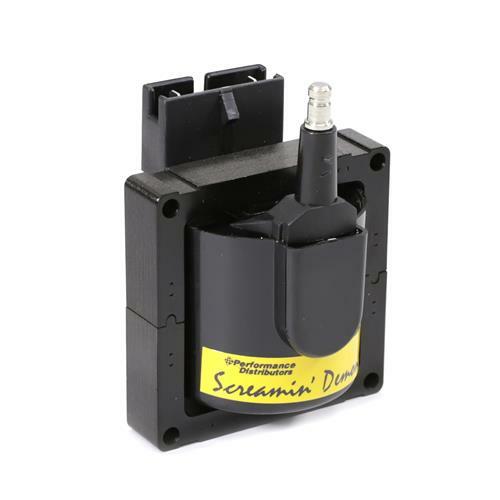 The Screamin' Demon has a brass terminal for which your coil wire attaches to. 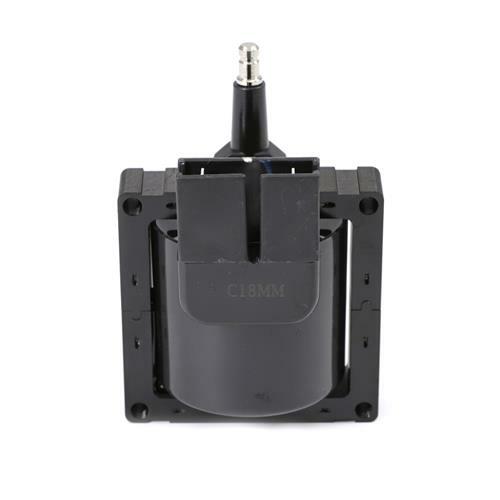 The nickel plated brass terminal is more conductive than the stock aluminum terminal and will resist corrosion longer. 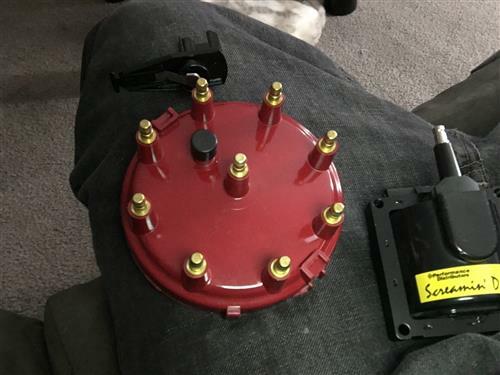 Plug gaps can be widened to .060" due to the energy of this coil. The wider spark plug gap will allow more spark energy into the combustion chambers providing more power and improved mileage. 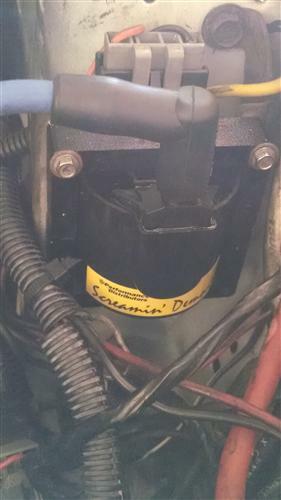 The Screamin' Demon is too "hot" for stock plug wires. 8 mm spiral core wires are highly recommended. 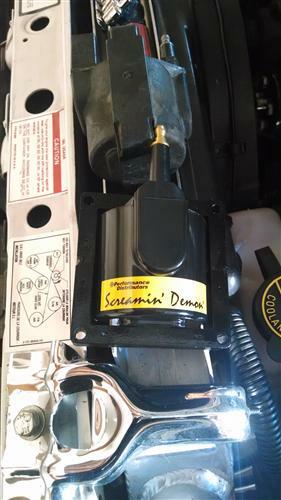 The Screamin' Demon is an externally mounted coil. 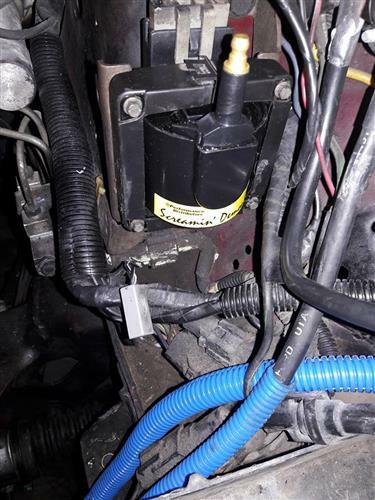 Your Mustang ignition upgrade isn't complete until you replace your weak Fox Body Mustang Ignition Coil with the PPerformance Distributors Screamin' Demon coil. 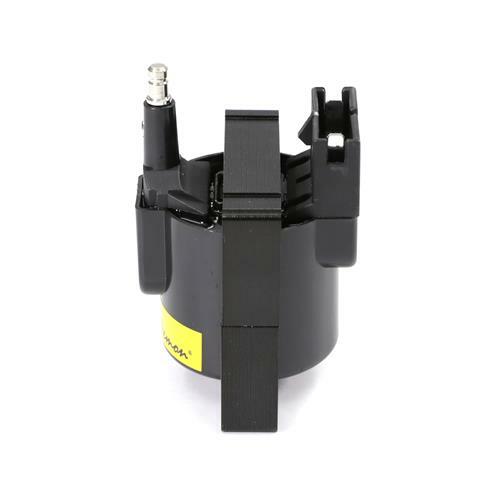 This ignition coil will enhance the performance of your 5.0/5.8L Mustang by replacing that stock ignition coil with a coil that was designed to produce exceptional spark throughout your entire RPM range. 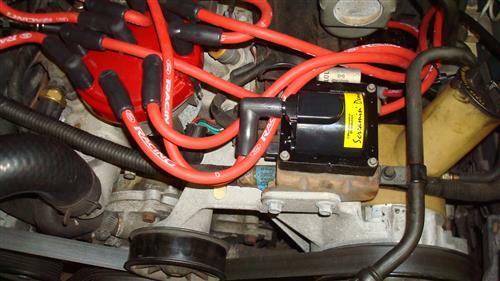 Your stock Mustang Ignition Coil begins to fall off as you continue through your upper RPM range.